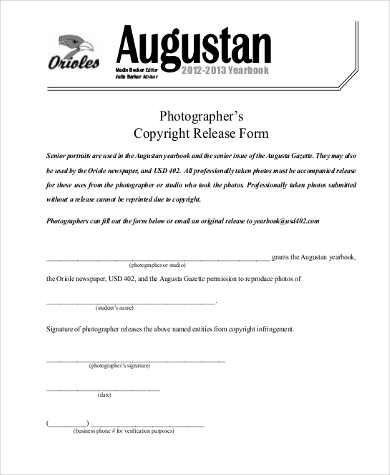 A Photo Release Form is sometimes dubbed a Photo Consent Form or a Photo Copyright Form. 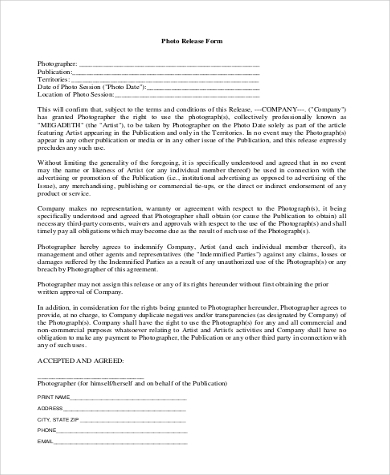 Whatever they’re referred to, these documents serve as a written agreement between the photographer and a client. 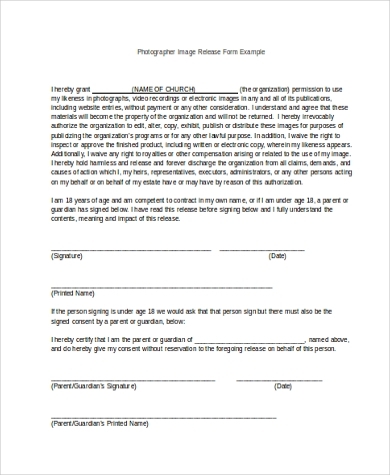 A Photo Release Form provides permission for a client to print out hard copies of the photos taken by the photographer. 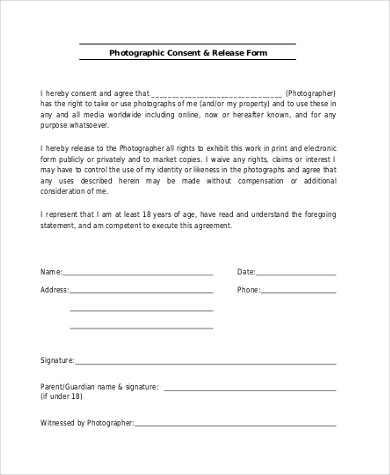 Photo Release Forms are important because they protect the rights and the privacy of both the photographer and the subject of the photograph. 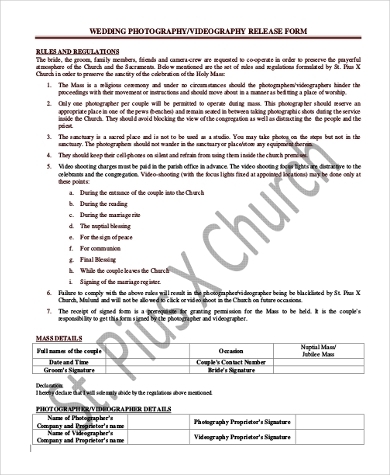 If you are planning to take photos to publish on material that might be distributed, such as magazines, newspapers, or the worldwide web, it is important to get signed photography release forms that will grant you permission to publish likenesses of the people and objects in your photos. 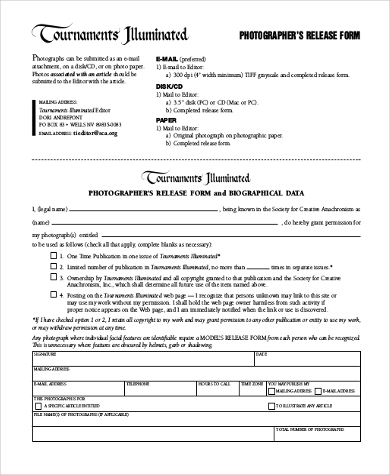 A Photo Release Form is usually mistaken for a Model Release Form. Although they are equally important, they actually differ slightly in the their use and definition. 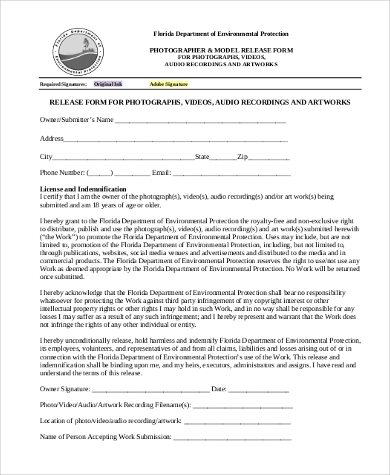 While a Photo Release Form is a written document that grants permission to a client to have hard copies of a photo, a Model Release Form, on the other hand, is the other way around. Model Release Forms are written documents that enable a photographer to use images of a subject either commercially or non-commercially in a licensed and legal way. 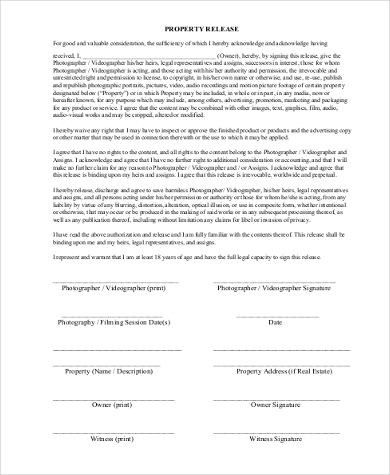 However, when conducting a photoshoot, both Photo Release Forms and Model Release Forms have to be signed by both photographer and model. As a photographer, you need to prep your paperwork ahead of time. Print multiple copies of your release forms in case mistakes or errors happen. This also allows you to provide copies of the paperwork to the parties involved. Content is king but so is clarity. Make sure that the wording of the release form is properly stipulated and that it is easy for the client to understand. Always countersign, scan, and e-mail a copy of both Photo Release and Model Release Forms to the client via e-mail in order for you to generate an e-mail trail. Scanning documents also allows you to digitize your records, making them less vulnerable to ruin or damage. 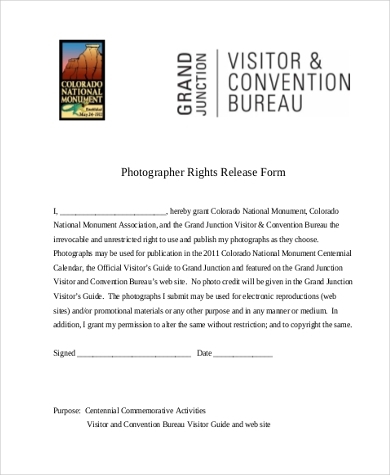 Hundreds of Release Forms can be found online; however, not all of them are able to properly cover the basic information that needs to be incorporated in a Photo Release and Model Release Form. 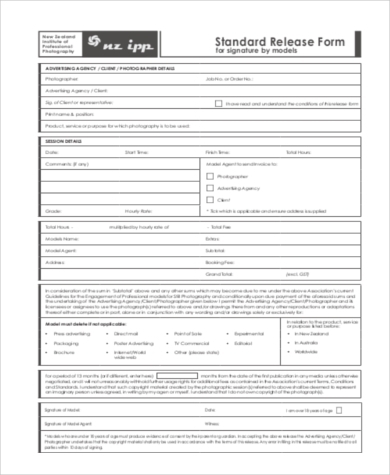 We also offer sample forms for Media Release Forms, and Medical Release Forms for your convenience.